UNPO Alternative Report to the UN Committee on Cultural, Economic and Social Rights highlights marginalization of indigenous ethnicities in Iran. UNPO has submitted an Alternative Report to the UN Committee on Cultural, Economic, and Social Rights (CESCR) ahead of Iran’s review at the 49th Session in May 2012. This report to the Treaty Body monitoring committee underlines threats to the identity, culture, and opportunities for sustainable lifestyles faced by the Ahwaz Arab, Azeri Turkish, Kurdish, and Baloch peoples. Though Iran is commonly thought of as a Persian state, its population includes a large number of ethnic and linguistic minorities who are located in the peripheries of Iran; namely the Ahwaz Arab, Azeri Turk, Kurdish and Baloch peoples. These groups are highly diverse, but share common experiences of economic marginalization, political repression and denial of even the most basic of cultural rights. While abuses against activists, journalists, and members of the political opposition have been widely documented and discussed, the severity and pervasiveness of abuses against Iran’s minority populations, though well documented by international NGOs and United Nations human rights bodies, tend to receive significantly less public attention. Regional ethnicities are systematically excluded from many benefits of investment and development related to natural resource wealth, despite the fact that the principle of self-determination in that all peoples are allowed to freely determine their political status and freely pursue their economic, social and cultural development, is enshrined in the International Covenant on Economic, Social and Cultural Rights, and in the Iranian constitution. Consequently, lands rich with natural resources provide a large source of wealth for the Iranian government while non-Persian ethnic groups who traditionally reside there experience disproportionately high rates of poverty, unemployment, and preventable disease due to poor or non-existent infrastructure. Three elements in my identity – being a woman, ethnically Baloch, and a Sunni – deprive me from having access to political participation, including standing as candidate for presidency in Iran. As persons of national minorities, we are doomed to face many kinds of discrimination from the day of our birth. Despite constitutional guarantees, in practice, the attainment of education is also a challenge for all non-Persian speaking communities. Because education in minority languages is severely restricted, as a result many ethnic Azeris are unable to read or write their mother language. In response to communities and activists advocating for more opportunities to learn their native languages, the Iranian government has charged individuals with “acting against the national security of the Islamic Republic and its territorial integrity.” Without education in their mother language, many non-Persian communities experience high school drop-out rates compared to Persian native Farsi-speakers. 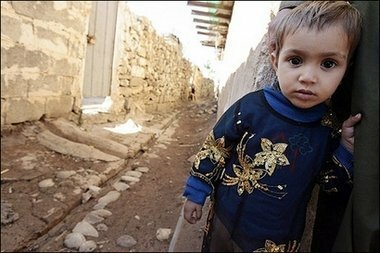 This problem is additionally compounded by the lack of or the poor conditions of school in regions populated by non-Persian ethnicities.